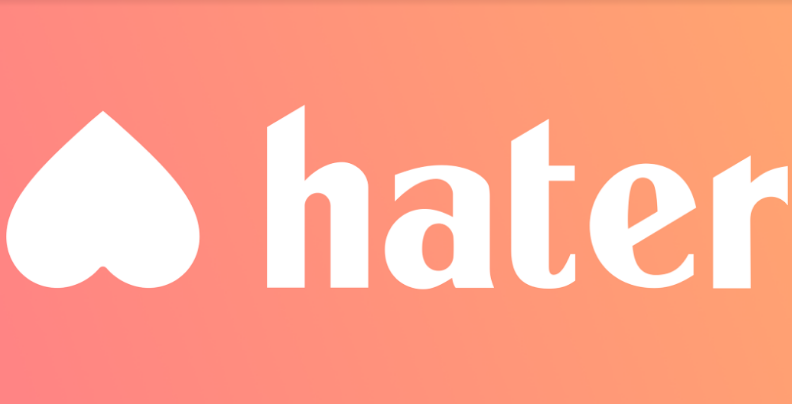 Hater, a new dating app that matches singles based on the things they hate, is set to launch around the world on 8th February. Unlike most dating apps, Hater works by matching singles based on the things they dislike, whether Donald Trump or paying extra for guacamole. The swipe-based platform works like this: after downloading the app, users are asked to indicate how they feel about a number of topics, by swiping on card-style pictures. Singles are given a number of reaction options – they can swipe up for love, down for hate, right for like and left for dislike, or they can opt out for neutral. Once they make their decision, Hater will show the user a percentage of how many others have responded in the same way – for example, if they swiped left for Donald Trump, the app might say “72% agree”. New York Magazine also explains that users can press and hold on a topic to see percentages of how others have responded. When a user has swiped on enough topics, the app will begin showing them other singles based on their previous responses. Each card-style profile will have a photograph of the user, their name and the percentage of how many mutual topics they have disliked. If two users swipe right, they will match and can begin talking within the app. Founder Brendan Alper said in an interview with Behind The App: “It started off as a joke, a wouldn’t-it-be-funny-if and then we kept playing around with it and it seemed like it could work as an actual idea. “People seemed to come together around things they hate. It surprisingly brings people together. “And then I did some research on it and there are actual studies that show that hating on things brings people a lot closer. And they’re willing to be more honest and open about things they hate. So far, Hater has 2,000 topics for users to swipe on, but there are plans to expand this feature and enable people to input their own dislikes. The app is already available in beta for iOS users, however it is set to publicly launch on 8th February. To find out more about Hater please click here. Emma is a reporter at Global Dating Insights. Originally from Surrey, she has studied Communication and Media at Bournemouth University and The University of Central Florida. She enjoys socialising with friends, exploring new places and can often be found with her nose in a book.